Are you pregnant and expecting your first born and thinking how to take his or her first baby picture ever? Do you have children and you want to have their picture taken but have no budget for it? Are you a proud parent who just bought his first DSLR camera and are looking for tips on how to take great photos of your babies? Did you ever wonder why your baby's adorableness cannot be captured when you're the one taking pictures using a camera? If you said yes to at least one of the questions above, then this article is for you! Taking photos of my kids during fun and memorable moments delights me a great deal. The innocence in their eyes and the happiness they exhibit when playing outdoors is a joy to behold. These are the moments that are worth capturing. However, there are times when you just can't seem to take decent photos of your kids. Some are of hideous quality, out of focus, and in some occasions just flat out un-printable. These are the moments when you wish you were a pro or you had funds to take out from you budget to hire a professional photographer to follow you and your kids around, during these fun and joyous events. If you generally feel that taking photos of your child is a chore, try taking picture of a whole lot of children and babies (needless to say, make sure you have the appropriate permission). One of the most challenging projects an amateur, or even a professional, photographer faces is taking baby pictures. 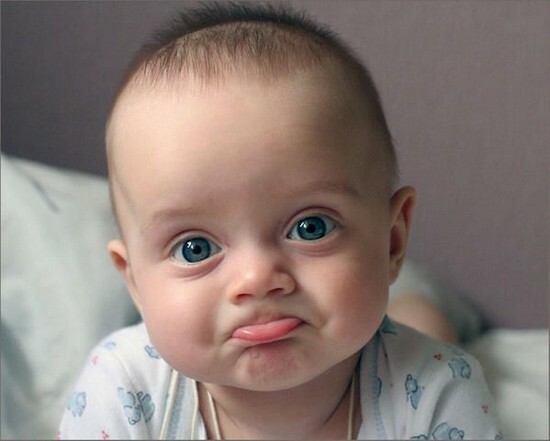 Despite a baby's cuddliness, you seem to lose your patience since babies, unlike grown up kids, are not in any way capable of following directions. You can catch their attention but this does not seem to make them stay still for you to take a decent photograph of them (at least that's my experience on the subject). In times like this, aside from patience, you need to equip yourself with tips and technical guidelines of taking baby photos and some advanced knowledge on different camera settings, which you can use to produce picture perfect baby photos. 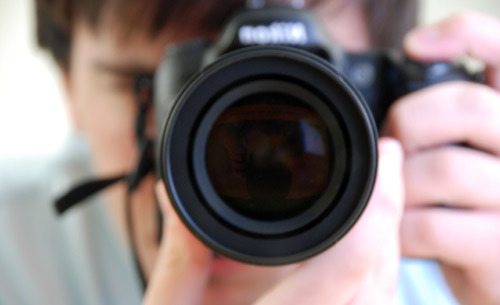 Study your camera - Knowing how to utilize your camera properly, as proper usage truly affects the photos you are taking. Basic and advance knowledge of utilizing the different camera settings will help you in capturing the best photos there is. You will be proficient in choosing the lighting setting that you need for a variety of conditions and situations. One of the most important factors in photography is proper lighting to induce a certain mood or effect to your photos. Digital cameras are point and shoot tools which facilitate easy viewing after taking photos of your baby. Lighting settings and other camera settings can be adjusted with a few clicks and adjustments. You don't have to be a rocket scientist to take really good photos of your baby for digital cameras settings are pre-set already. Furthermore, it's easier to do another take using digital cameras as they are essentially simpler in structure and function. Take pictures of your baby during good mood periods within the day. Everyone loves a sleepy baby picture, but admit it! You also want to take photos of your baby while his eyes are wide open. The best and most ideal time to take baby pictures is during the day; when babies are generally awake and are doing all sorts of activities with you. Do not expect babies to pose during a picture taking session. Don't get frustrated if they don't smile as they are after all, babies! At this stage, their gifts of understanding and comprehension are still in its early development so yelling or uttering the word "SMILE" again and again wouldn't make a good baby picture. The best tip to follow for you to get babies to smile for the camera is by showing them brightly colored toys or flashing their favorite toy beside or on top of the camera. Day time is the most ideal time to capture a happy baby photo as babies generally are in an uppity mood during this time of day. It's best to take your baby to a park. 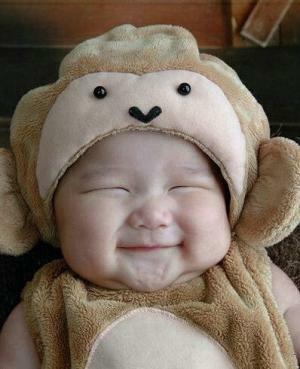 The different exciting sounds, sights, and stimulus will definitely make a baby smile. Be ready for those moments with your camera. Put your camera on standby while you're engaging him to do activities during the day time as this helps in making them smile. A word of caution: do not get on your baby's face when you're taking happy photos. You might be overwhelmed and start taking close-up pictures. Flashing lights from your camera are an irritating stimulus to babies and should only be used in dark places or conditions. Provide your baby with ample level of comfort while you're taking pictures. Always prioritize the comfort of your baby above anything else. Do not subject them to extreme weather conditions just so you can capture a certain effect and mood on still photos. Do not take pictures where it's too cold or too hot. If the weather is too cold, make sure the baby is warm enough. If it's cold outside or even indoors, clothe him or her accordingly. This is also an opportunity for creative parents to put on baby costumes to make the picture more exciting and artsy. If the weather or indoor condition is a bit warm, this is the perfect time for parents to take out their camera and dress their babies only with nappies on. You will definitely capture cute fat baby pictures of babies with just their diapers on. You can do this indoors on a bed so they are comfortable or outdoors by spreading a picnic blanket across the verdant lawn. Don't forget to protect your baby from the sun by applying baby-safe sunscreen as well. Utilize good lighting when taking snapshots of your baby. Natural lighting is always the best in photographs! Always remember to take photos against the light. Natural lighting is more than enough in the production if high-quality baby pictures. Try to get down to your baby's eye level. You will surely capture every smile, frown, pout, and grin that your baby will produce. Try to take pictures at different angles so you are sure to take the best photos for each facial expression that your baby has. If you want to capture wider images, try adjusting the aperture settings of your camera to ensure that you only get the best and most fascinating baby pictures. 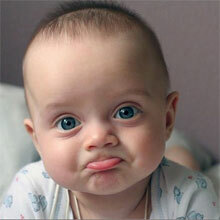 Taking close up pictures might be a challenge as babies cannot hold their expression or pose for a long time. Be sure to not use the flash when taking close up pictures as this may result to capturing startled and surprised baby photos. When taking a picture of a newborn baby, make sure the baby is calm and clean. 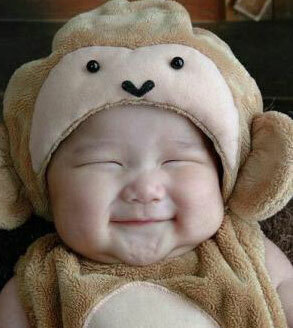 Try not to use a flash when you are taking a cute baby picture, as this induces stress and agitation on the baby's part. Adjust the ISO settings of your camera and see if you can take adorable baby pictures by using just the right amount of lighting. If not, use a bounce flash rather than an automatic or direct flash, if possible. And, if all else fails, the utilization of a tripod in conjunction with a long exposure setting will be the best photo option when taking newborn pictures. Changing the background from blur to sharp and voice versa requires you to adjust the aperture settings in your camera. If you're using a sophisticated camera, it possibly has a Program mode dial which facilitates the manipulation of aperture/shutter speed combinations. Different combinations will produce varying exposure settings. You can experiment on these combinations so you can capture the picture perfect baby photo in accordance to your personal taste and preference. For example, to blur the background, simply focus the lens on your baby and use a low F-stop number; an F/2.0 or F/2.8 are probably the best settings when taking baby pictures. Ideally, you should be 2 to 5 feet away from your baby when you're capturing them on frame. Be close enough to your baby to capture his or her facial expressions and movements. 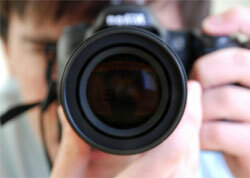 However don't be too close enough as your cameras flash lights may agitate and irritate them as well. Babies are generally small and taking pictures from more than 5 feet isn't the best idea there is. Try to take as much photos as you can. It's better to have a wide variety of photos to choose from when you're taking baby pictures. Upload them right away to your desktop or laptop and check each and every one of them. If you're not satisfied with the photos, you can resume your photo opportunity with your baby right away. I hope these baby photo-shooting guidelines will help you in your challenge of taking photos of children and babies. Just remember - always have fun in doing it. It's a great way to spend quality time with your child and the perfect means of keeping fun and memorable moments alive. Have fun in taking photos of your cuddly, cute, little baby! 10. Soft enough? 10. Beautiful eyes! All Baby Pics.com - Copyright © 2004-11 - All Rights Reserved.